Gibo Kodama Respon 6000 Special Task Chair Desk Height offer a waterfall seatpan a ratcheting back for easy height adjustment an Independent Tilt control with multiple ergonomic features. 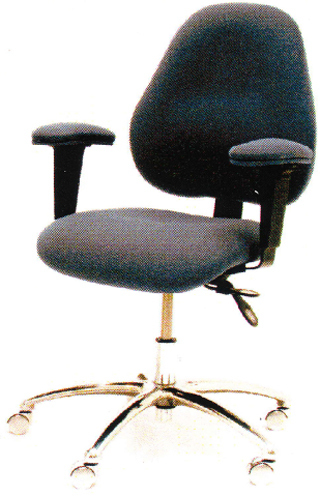 Actual Chair Appearance May Vary Depending on Class and Options. - Height Adjustment approximately 17" to 21-1/2"